We have 2-yard, 4-yard, 6-yard and 8-yard dumpsters for all of your garbage. Contact us and and say good-bye to missed pickups, extra fees and call centers. Our service is always dependable, and since we are a local company, you will always speak with a real person when you call. 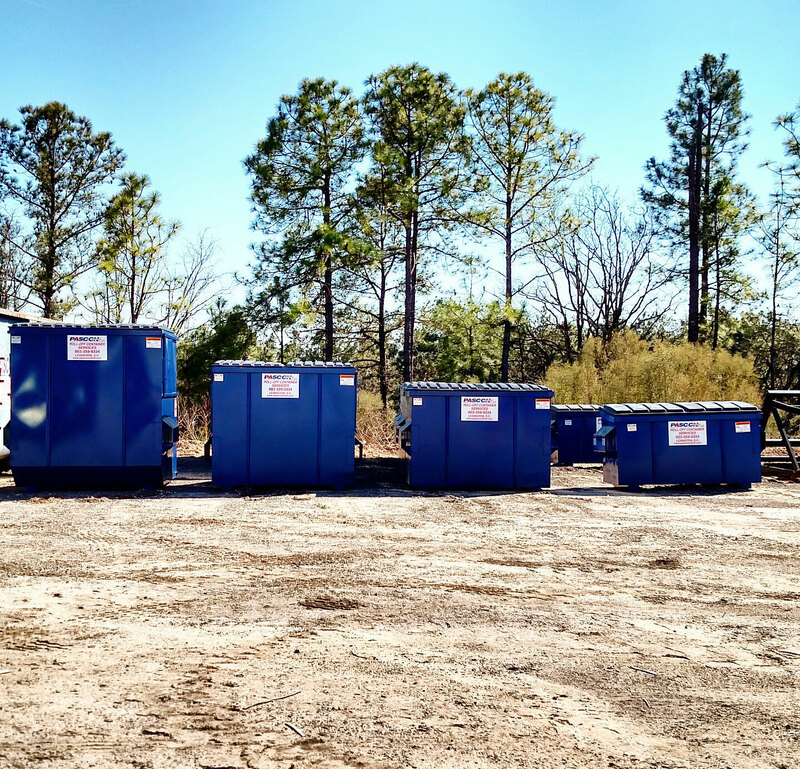 Click here to see a larger view of our front load dumpsters. We can handle any size job. 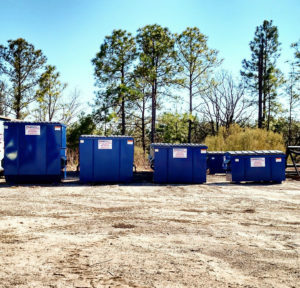 We have containers to fit your needs from 10 yards to 30 yards (40-yard containers available, but please call for availability). We also provide containers and hauling for your recycling projects. Pascon will provide fully detailed LEED recycling reports to help you track and achieve your sustainability goals. We know the unique challenges associated with hauling special waste. We have the experience and equipment for hauling sludge, non-friable asbestos and a multitude of other waste streams. Click here to see a list of special waste items we haul. Pascon offers transportation services with our tractor trailer fleet to include walking floor trailers, dump trailers and tanker services.